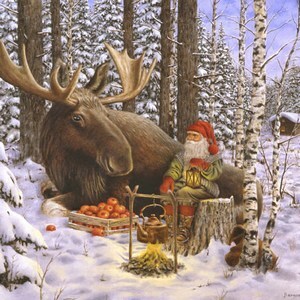 For more than 30 years Jan Bergerlind has worked as a professional illustrator. His pictures illustrate short stories, novels, advertising brochures, books, newspaper articles, posters, collectors plates, christmas cards etc. Jan Bergerlinds illustrations appear in many publications in Scandinavia and other parts of Europe.